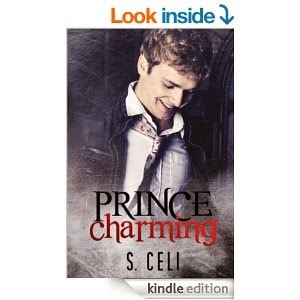 I've been meaning for months to write a review of my friend's book, Prince Charming. (You can go buy it now on Amazon!) However, we all know I'm a little slack on that sort of thing, so instead, I'm going to start out by telling you about the trip to Knoxville I had planned with Kimhead to meet up with Celi at a book signing. The entire thing was drummed up months in advance and Kimhead and I decided it would be best for it to be a surprise. I did let Celi's hubby know, so that at least he was in on the idea. He was totally game for it being a surprise. Yay! However, life happens. And so this entry isn't going to spin out the way I thought it would initially. Unfortunately, a few days before the Knoxville book signing, Celi's grandfather passed away. She had to cancel her appearance, which meant that Kimhead and I had to cancel our trip. We were definitely bummed! We had been looking forward to a girl's weekend and surprising a dear old friend! Anyhoo... I guess I can do a brief synopsis of her book now! See, bright sides abound! I will say that reading this book, felt like returning to high school. The setting is fictional, but I can see so many of the same people and attitudes and importances that were the same way in our school. Heck, there is even an appearance by a Toyota Rav4, which was what I drove all through high school and shuttled people around in! The story is a "Cinderella" story, but told from the guy's perspective. It's not ground-breaking, but the different POV makes it different than others I've read before. The characters were well-developed and took twists I didn't see coming. I thought I would hate the female lead, Laine, only to like her at the end. I will say, my only "gripe" with the book - and I use that term super loosely because I'm blanking at what other term would fit better - is that I could tell a female was writing the book. For whatever reason, there were just times where the descriptions were very much something a woman would say, not the guy who was supposedly telling the story... notes about fashion or the way someone was looking at someone else. Not that male authors aren't descriptive, they must just be descriptive in another way. I can't quite put my finger on it - but by no means did that hurt my enjoyment of the book. It was a sweet story with bends I never anticipated. And that's a good thing! When you can take a basic story and morph it into something more than that. I know Celi is working on other projects and I can't wait to read them. I'm happy to have such a good friend who is so talented! (And you can tell by this post that I am soooooo NOT a book reviewer by trade.) I am so proud of her and cannot wait to see what she busts out with next!